How to watch Gringo: The Dangerous Life of John McAfee (2016) on Netflix Japan! 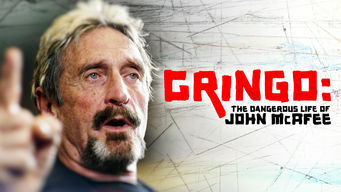 Yes, Gringo: The Dangerous Life of John McAfee is now available on Japanese Netflix. It arrived for online streaming on October 4, 2017. We'll keep checking Netflix Japan for Gringo: The Dangerous Life of John McAfee, and this page will be updated with any changes. Tech tycoon John McAfee made millions from his anti-virus software. Now, he may be best known for his bizarre and scandalous lifestyle. Pablo Escobar: Angel or Demon?